IDF Northern Command believes regime in Iran may initiate attack if it feels under pressure due to anti-government protests. Tehran could activate Hezbollah forces to attack Israel along the northern border in an effort to stave off domestic pressures within Iran, according to assessments in the IDF’s Northern Command. 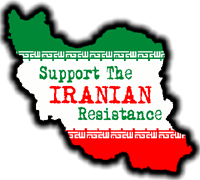 The concern within the army is that if the regime in Tehran feels under pressure due to anti-government demonstrations it will try to initiate an attack on an Israeli target – either overseas or near the border – to divert attention from its own troubles. Hassan Narallah calls on ‘Islamic resistance fighters’ to ‘be ready for the day when war is forced on Lebanon’; Hezbollah leader who escaped Egyptian prison appears at rally where Nasrallah spoke. Hezbollah chief Hassan Nasrallah on Wednesday warned “Zionist officers and generals” to “watch your heads,” in response to a military tour that Israel’s defense minister took on the border with Lebanon earlier in the week. Nasrallah spoke at a rally that was held to honor a Hezbollah leader who had escaped from an Egyptian prison during the country’s unrest, and made his way back to Beirut. I AM SURE THAT THE PASSAGE OF THE 2 IRANIAN WARSHIPS IS A COORDINATED EFFORT AIMED AT ATTACKING ISRAEL – EITHER WITH LEBANON OR GAZA AS A FLASH-POINT. OR BOTH – AFTER ALL: THEY HAVE SENT 2 SHIPS. 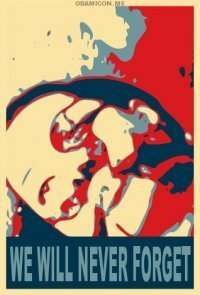 I wrote here about how Islamic supremacists were trying to take advantage of events in Tunisia; popular uprisings in majority-Muslim countries will generally tend to work in favor of pro-Sharia forces, which (despite the universal assumption in the West that they constitute a Tiny Minority of Extremists™) enjoy broad popular support. Calls for democracy effectively amount to calls for Islamic rule. (AhlulBayt News Agency) – The leader of Tehran’s interim Friday Prayers was referring to the recent historic revolution in Tunisia and massive protests in Egypt, Jordan, and Yemen.”Incidents that are happening in the Middle East and the Arab world should not be regarded simply,” he told worshippers on Friday. “To those who do not see the realities I clarify that an Islamic Middle East is being created based on Islam, religion, and democracy with prevailing religious principals [sic],” Ayatollah Khatami said. Tony Blair is right. The jihadis are working together to destroy freedom and install there evil world wide. For the second time in less than a year, former British prime minister Tony Blair testified before the Iraq Inquiry on Friday. The Inquiry is investigating the circumstances that led up to the Iraq war and its aftermath. And for the second time Blair warned of collusion between Iran and al Qaeda. In Blair’s estimation, the problems post-Saddam Iraq faced would have been manageable had it not been for the nefarious influence of external actors such as al Qaeda and Iran. No one foresaw their collusion on the eve of the Iraq war, Blair testified. But al Qaeda’s spectacular suicide bombings and Iran’s extensive sponsorship of terrorists and extremists were the main drivers of the violence that engulfed Iraq in violence. I wanted to make it very clear to you that I think you need to look at this issue to do with AQ and Iran in a broader context and also the linkages between the two, because I think there are a whole series of particularly defense intelligence reports from 2005 and 2006 which are very, very important in this regard and which detail quite extensively the nature of those activities. Last night, free speech suffered a setback in Ottawa, Canada and tyranny notched a win. The Free Thinking Film Society had scheduled a screening of the new Clarion Fund film, “Iranium,” this evening at the Library and Archives of Canada in downtown Ottawa, the Canadian capital. The film is a documentary featuring a slate of Iran experts discussing the threat of the Iranian nuclear weapons program. Unfortunately, all it took was the reported telephone threat of protests from the local Iranian Consulate to call in the Royal Canadian Mounted Police, evacuate the building, and cancel the event. I suspected it but never read stuff like this before. It is sad that Russia does not see jihadis as the same idiots they are fighting in Chechnya and stand on the side of good. LONDON — Russia is said to have been inciting Iran and Syria to launch war against Israel. Israeli officials asserted that the Kremlin, still under the control of wily ex-KGB operative and current Prime Minister Vladimir Putin, was feeding Iran and Syria false reports on attack preparations by the Jewish state. The false Russian reports to Damascus and Teheran were first detected by Israeli intelligence as early as 2007. “The Russians telling the Syrians that Israel planned to attack them, possibly in concert with a U.S. attack on Iran,” a U.S. State Department report said. This movie looks great. I wonder when it is going to come out. Majid is really not a spy. 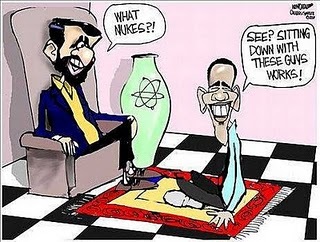 In fact he is a member of a death squad for Iran. The young Iranian man who “admitted” on Iranian TV last Tuesday, Jan. 11 that he had acted for the Israeli Mossad in the murder of Iranian nuclear scientist Massoud Ali-Mohammadi is revealed in real life byDEBKAfile‘s Iranian sources as a member of the Iranian Revolutionary Guards’ secret reserve death squad of brawny sportsmen used to cut down opponents of the regime and break up protest rallies. 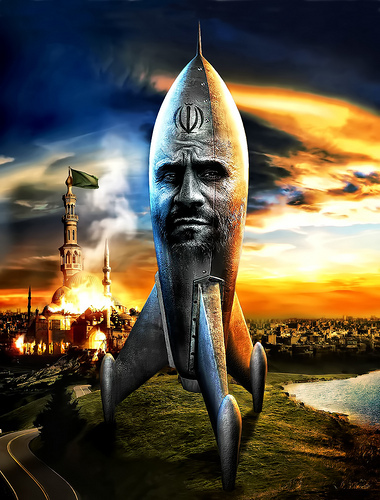 DEBKAfile‘s Iranian sources had uncovered the real Majid Jamali Fashi – a champion kick boxer, a professional terminator and an ardent fan of President Mahmoud Ahmadinejad. As a sportsman, his face is familiar to people in Iran from the media and the Internet. Until late 2009, he represented his country in international kick-boxing contests. Iranian intelligence minister Heidar Moslehi must have realized that putting him on national TV as a Mossad spy to support his boast that Iranian agents had penetrated the Mossad networks he claimed were spread across the country would open more than one can of worms. The Iranians are giving fellow jihadis to kill non believers in Nigeria. Or that is at least what Nigeria is saying. (Telegraph) A key defendant in the trial, which is due to start in Abuja on January 31, is Azim Aghajani, an Iranian national who has been identified by intelligence officials as a senior officer serving in the Qods Force of Iran’s Revolutionary Guards. Aghajani faces charges relating to the seizure of a cargo of weapons hidden in 13 shipping containers at the Nigerian port of Apapa, in Lagos, in October. The weapons, which included rocket-propelled grenades, machine guns and assault rifles, had been concealed in a cargo of construction materials and were discovered following a tip-off by the CIA to Nigerian security officials. Nigerian officials claim the containers were dispatched by the Qods Force of Iran’s Revolutionary Guards, the unit responsible for supporting overseas Islamist militant groups. I have know for a while that Lebanon is now a Iranian puppet but this makes it official. In his first speech on the Lebanese crisis, Hizballah leader Hassan Nasrallah said Sunday night, Jan. 16: “The opposition will exercise its own national convictions and will not be intimidated by the world’s reaction.” He added: “The opposition” had decided unanimously not to name Saad Hariri, the pro-Western prime minister they toppled last week, as next head of government, meaning that the Hizballah-led camp will build its own regime shunning Hariri. It is kind of well known that Iran is arming jihadi rebels. But it is a good think that Nigeria is finally waking up to the fact. A trial due to open in Nigeria at the end of the month is set to disclose embarrassing details of an extensive arms smuggling operation run by Iran’s Revolutionary Guards to supply guerrillas in West Africa. Are you better off then you where two years ago? Great question and analysts found here ARE YOU BETTER OFF NOW THAN TWO YEARS AGO? in fact, I can’t think of one good thing Obama has done – or of one area in which we’ve improved sine Obama has become president. If the USA federal government was corporation and us its shareholders, then we should have a revolt and force the Board of Directors to fire him. Or – if he had a shred of dignity and decency – he would admit he is in WAY OVER HIS HEAD and that his leftist policies have made things worse – and resign to spend more time with his family. I don’t think new WH CoS Bill Daley – a member of the Chicago Machine – is gonna make things any better. And with oil expected to reach $100/barrel and our foreign policy a shambles, I think things can get even worse – and sooner than anyone is predicting; YES: WE COULD GO BACK INTO RECESSION. The only answer is for the White House to accept and adopt the policies about to be introduced by the GOP House. Because Obama is no Clinton, the odds of this are small. An unnamed senior officer in the Iranian Revolutionary Guards warned Thursday that Iran would strike Israel if it is targeted, no matter who the attacker is.